As more of the plants in the plots flourish, bees, butterflies and other beneficial insects visit to pollinate, beautify the garden and complete the cycle. A sense of peace and abundance is felt among anyone who visits or works in the garden and sees its verdant goodness. Working or practicing with love unites the sustained energy of the One into everyone, bringing people and resources together for the highest good of all. Note: I was inspired to write this post after seeing this sign (photo above) at the Winnona Park Elementary School community garden. Tags: community, energy, gardening, intention, Oneness, spirituality. Bookmark the permalink. I tell my students all the time – if you commit to regular self-practice, even if you never practice Reiki on anyone else, you are helping make the world a better place. 🙂 The community garden metaphor also applies! Thank you so much for sharing! Blessings! Thank you so much for sharing this! Deep gratitude to you. The gardening analogy really makes sense to me – the garden needs tending, and the results of the weeding, deadheading, composting,mulching, watering etc, brings brings an eventual harvest – like spirituality, which also brings love, beauty, and even truth (of some form or other). 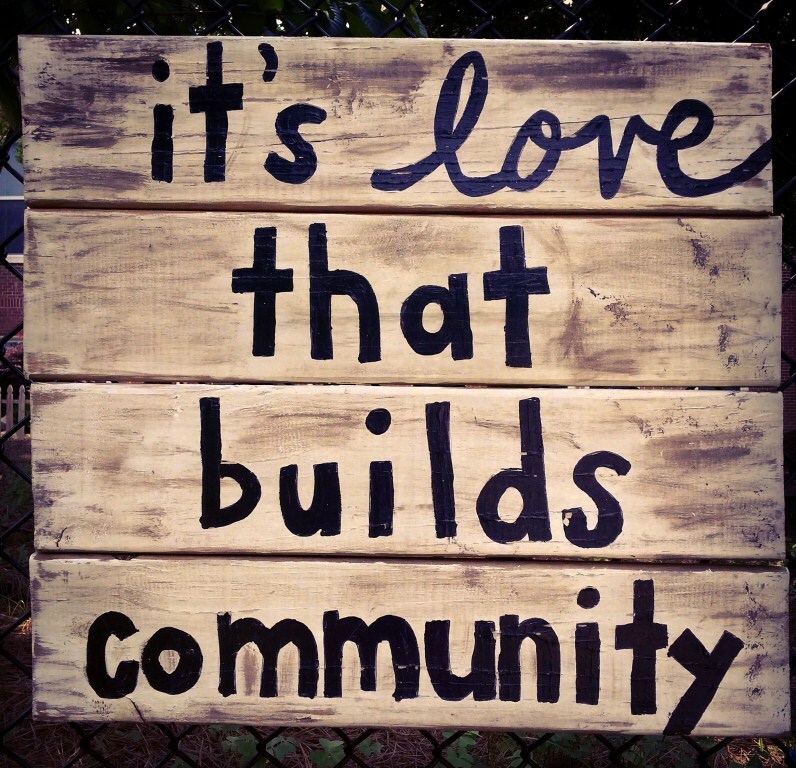 This is a wonderful post of how to help build up community – and not just of family & friends. Yes, I need to work on spirituality and the gardening. Thanks Dana, and also to Ivon (of teachers as transformers) for pointing out Dana’s post.